An amazing value cash drawer that is spacious and robust, the C1000 Standard Cash Drawer comes with a standard RJ-11/RJ-12 interface making it compatible with the vast majority of EPOS systems and receipt printers currently on the market. For increased compatibility, it can be fitted with a USB or serial interface, perfect for connecting it to a PC. Fitted with a 3 position key release as standard, the C1000 also comes with media slots on the front for cheques and credit card slips. 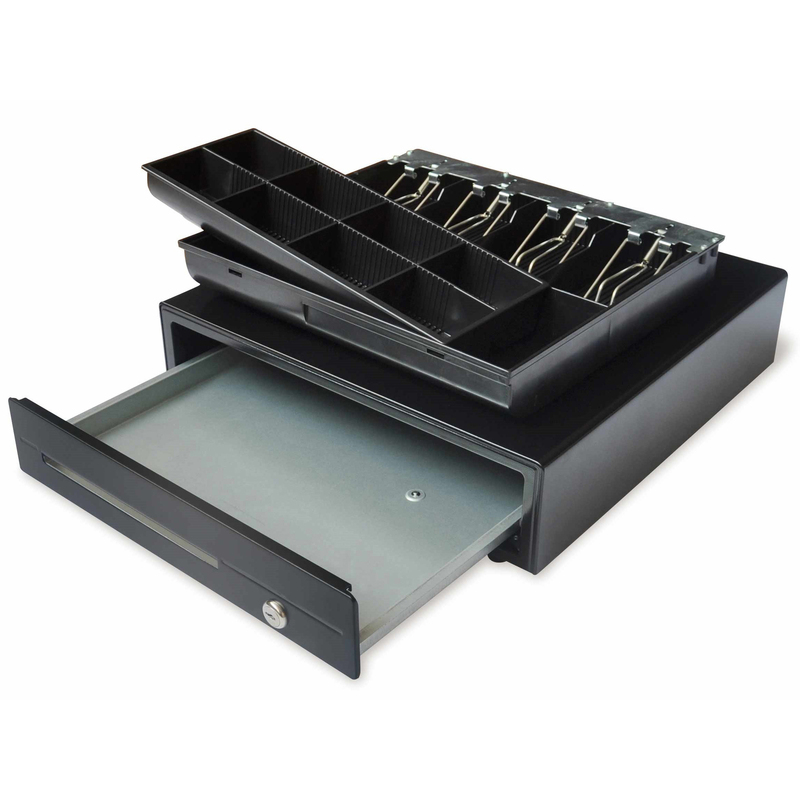 The drawer insert is made from high-quality plastic and provides 8 coin compartments and 4 sets of notes. Available in black and white.